IMDEX Limited (“IMDEX” or the “company”), a leading mining equipment, technology and services (METS) provider to the global minerals industry, is pleased to announce its recognition as a ‘must see booth’ at the PDAC international convention held in Toronto, Canada, 4 – 7 March 2018. IMDEX’s booth (#0323 – 0329) – incorporating its leading REFLEX and AMC brands – will showcase the company’s integrated solutions and latest technologies including its: Downhole Navigation and Drilling Optimisation solutions; new north-seeking REFLEX GYRO SPRINT-IQ™; and AMC MUD AID™. The company will also be celebrating the 10th anniversary of ioGAS™ – IMDEX’s market leading interpretive geoanalytical software – and offering a range of free workshops to PDAC attendees. Over the past 40 years IMDEX has continually enhanced its Downhole Navigation solution. Its latest advancements are on show at the PDAC including the REFLEX GYRO SPRINT-IQ™ – a highly accurate north-seeking gyro, which provides survey data within record time using multishot or high speed continuous modes. The REFLEX GYRO SPRINT-IQ™ integrates with IMDEXHUB-IQ™ – the company’s award winning, secure, cloud-based web portal – to ensure instant access to result data anywhere, at any time. The REFLEX GYRO SPRINT-IQ™, coupled with the patented and proven REFLEX ROTA-LOCK OVERSHOT™ system, minimises survey downtime in diamond drilling applications. Core orientation, the collection of accurate structural measurement and data interpretation impact ore-reserve estimation, geotechnical mine design, mine planning and safety. IMDEX’s Structural Geology solution includes instrumentation and software that enable the effective discovery, planning and extraction of ore bodies. The company’s new core orientation tool – the REFLEX ACT-IQ™ – will be introduced at the PDAC. This tool, formerly the REFLEX ACT III, is now powered by IMDEXHUB-IQ™ enabling real-time data access with a secure chain of custody. The controller displays accelerometer data collected via time stamping technology, including depth values, inclination, roll, gravity and temperature. 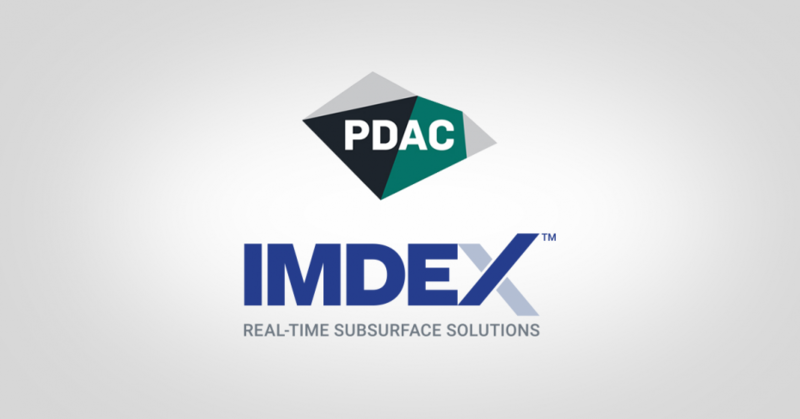 IMDEX will also officially launch its AMC MUD AID™ – the only in-field, remotely monitored drilling fluid testing unit – at PDAC. The newly launched technology is designed to optimise and automate fluid management. The AMC MUD AID™ monitors drilling fluid properties 24/7 to ensure optimal efficiency and to reduce any potential delays to the operation – without the need for a dedicated drilling fluid engineer on site. The unit live samples the drilling fluid system against project-specific mud programmes or API specifications and provides instant recommendations for maintenance or treatment. The AMC MUD AID™ also integrates with IMDEXHUB-IQ™, for complete visibility across the operation. IMDEX’s world leading interpretive geoanalytical software – ioGAS™– is celebrating its 10th anniversary. This unique software allows users to readily detect patterns, anomalies and relationships in geoscience data. To see why industry experts prefer to use ioGAS™ to interpret their data, attend IMDEX’s free Celebrating 10 Years of ioGAS™ workshop presented by the company’s Chief Geoscientist David Lawie. In this workshop you will view the new interface, workflows and features of ioGAS™7.0.